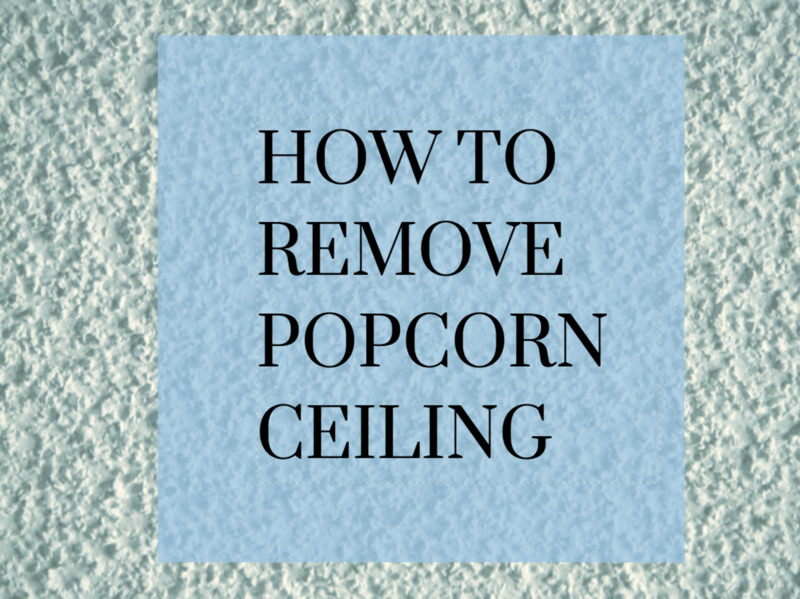 Virginia got rid of the popcorn on every ceiling in her house— about 2000 square feet of ceilings—with this plaster method. 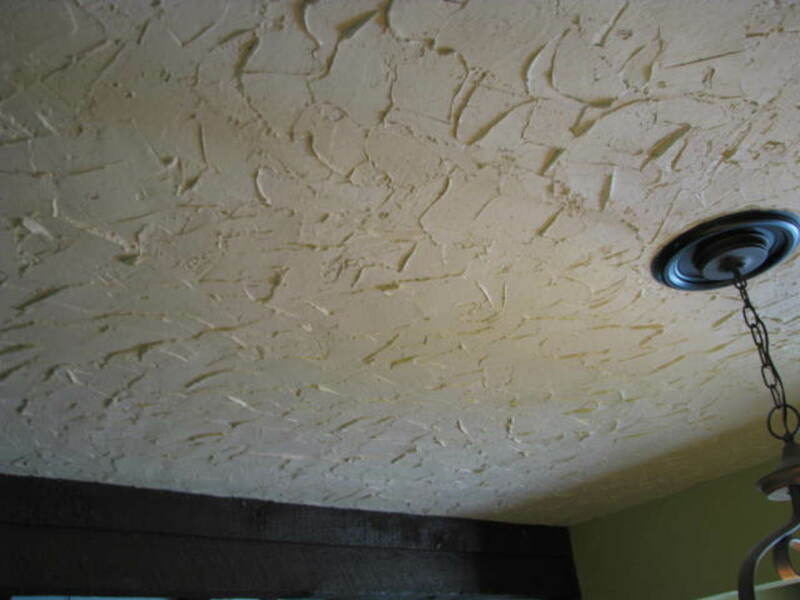 Homeowners can cover over popcorn ceiling with plaster. I give step-by-step directions how. I'm an over-50 female homeowner, and I managed to cover all the popcorn ceiling in our house by myself. If I can do it, you can too. 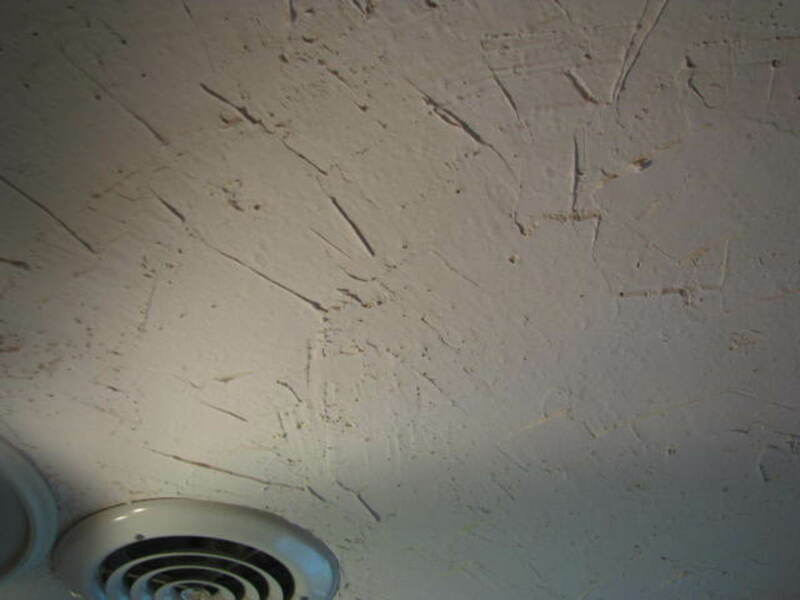 Popcorn ceilings are ugly–or at least unfashionable. They make a house dated. We’ve wanted to get rid of ours ever since we moved into our 1972 home. How? 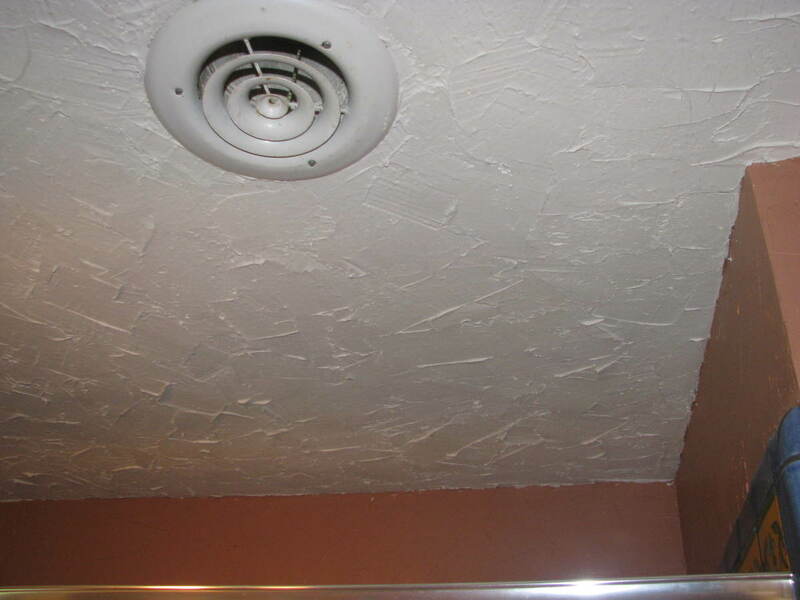 Scraping off the popcorn and re-plastering is one way, but our popcorn ceiling is painted and scraping didn’t work.Besides, we were worried about asbestos. The Idea: I had been thinking about trying to use plaster on our ceilings ever since I plastered over wallpaper in our bathrooms. I searched the Internet and found nothing about this method (which is why I decided to post this information for other people). Finally, I decided to try using plaster on the ceiling of our garage as a test. That went all right and the plaster stayed up, so next I tried our smallest bathroom area (about 9 feet square). I figured if it went wrong it wouldn't be too much of a problem to fix and that if it worked in this area, which had the most humidity in the house because it was a shower area with no windows, it would work anywhere. With trepidation, I put the plaster on and then waited. It worked beautifully! The Results: It took a few days to dry from grey to white. After about two or three weeks, I painted it and waited a bit more to see if there would be any problems. I checked every day but there was no cracking or peeling, even though the shower was used by our four girls. That convinced me it would work and I started on the project of doing our whole house. Over time, I covered about 2000 square feet of ceilings with this plaster method. Less messy than removing the plaster. You don't have to take furniture out of the room (just cover with a tarp). Can be done slowly and in stages (I worked while my kids were at school). Inexpensive (under $50 of plaster for a 8 x 10 bedroom). One person can do the job alone. Different looks can be achieved depending on the amount of plaster applied and the angle of the plaster knife. Hand-plastered ceilings give a home an upscale look. Time-consuming job for one person. Requires a lot of repetitive motion (I irritated my carpel tunnel symptoms and had to take breaks). The hand-plastered look might not go with all home styles. 1. Prepare the room: Cover furniture and floor with plastic cloths. No matter how careful you are, you are bound to drop some globs of plaster as you work. These can be wiped up easily but are messy. You don’t want to try to get them out of carpet or a couch, so cover up or move it out of the way. Take off the covers of any vents in the room. This can be a good time to spray paint these and make them look new before you put them back. 2. 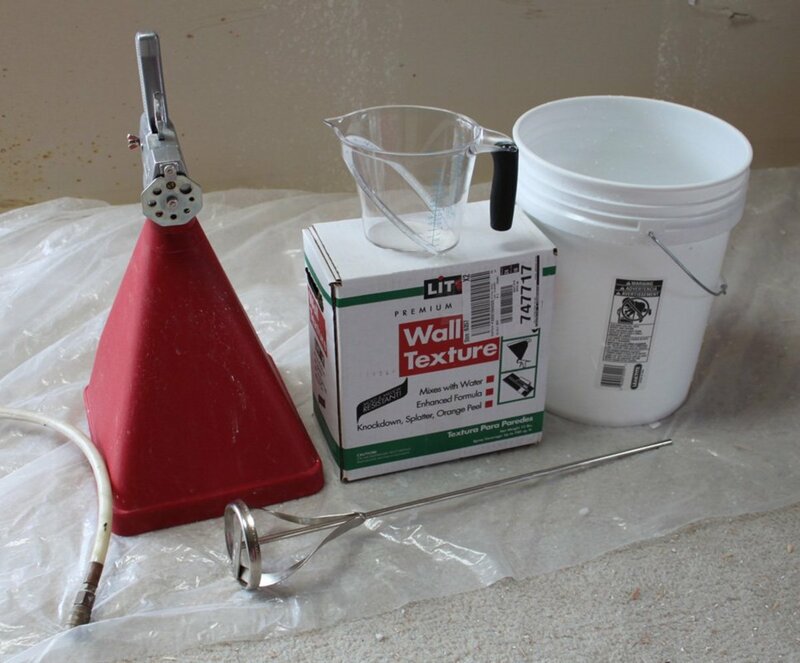 Prepare your materials: Put your joint compound in a plastering tray or small bucket. Start in a corner of the room. Dip your knife into the joint compound and lift up a chunk (about ½ a cup). Note: You might want to practice on a board first before you start on the ceiling. 3. Get started plastering: Starting at an edge of the ceiling least noticeable, press the compound down and then drag the knife across the ceiling at about a 45-degree angle. Press enough compound in to cover the popcorn. Lift the knife and keep on pressing the compound down across the ceiling until it is all about a ¼ inch thick. Some of the plaster may drop across the sides and fall (which is why you needed to cover the floor!). As you do this more, you will get better at knowing how to move the knife to catch the dropping compound. 1. 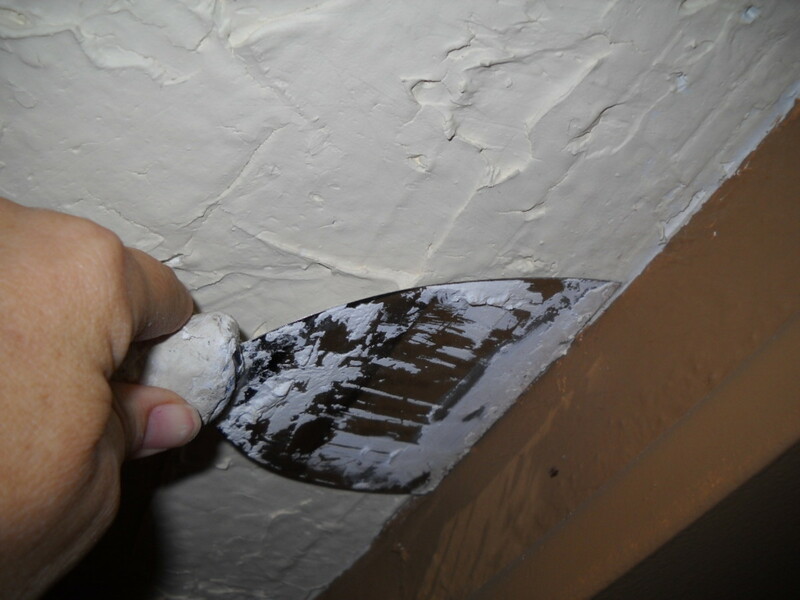 Plaster a 2-foot by 2-foot section at a time: Keep on scooping up the compound and pressing against the ceiling. Generally, it works to do a 2 foot by 2-foot section at a time. After you have pressed a couple of scoops onto the ceiling, you will probably want to go back over that section with your knife in order to smooth it and make sure that no section is too thick. Scrape the knife across the compound and move it to a section of ceiling that isn’t covered yet. 2. Try different types of strokes: As you work with the compound, you will see that there are different types of textures you can make depending on how close you scrape the compound on the popcorn. 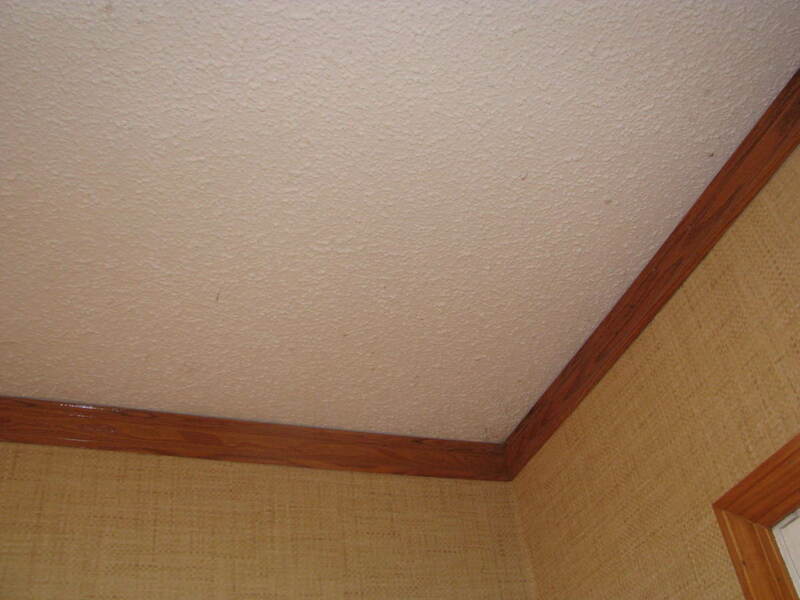 Smooth Ceilings: This is a ceiling which has a very thin layer of popcorn. As you scrape the plaster across the popcorn, you press down hard and just barely cover the popcorn. It actually takes more time to do this sort of ceiling because you have to keep on scraping and pressing closely. 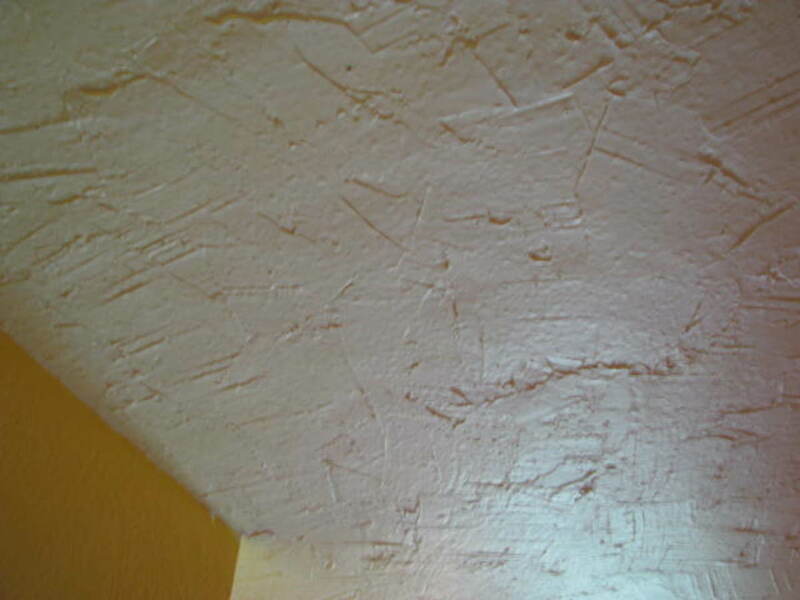 Rough Ceilings: On these ceilings, you press lots of plaster down and don't go back to re-scrape as often. I did several variations of these. Some look like waves of plaster, others are more subtle. Experiment to see what you like. The plaster can be re-worked for an hour or so before it starts to dry. 3. Finish the Edges and Molding. The edges and corners of the ceiling will look a bit ragged unless you use the tip of the knife or a finger to smooth it (you can wear plastic gloves if the joint compound dries your skin). To smooth it with a plaster knife, I usually used a 1” knife and put it at about a 35-degree angle parallel to the wall and used the tip to smooth where the ceiling and wall met. In some cases, I also used my index finger to do the same. 4. 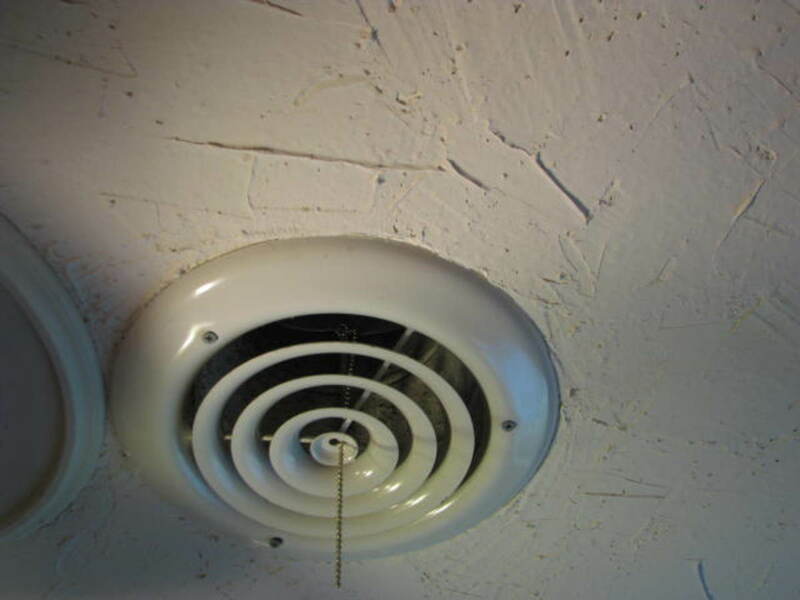 Avoid Ceiling Vents: Be careful not to plaster over the holes for the screws for your ceiling vents. 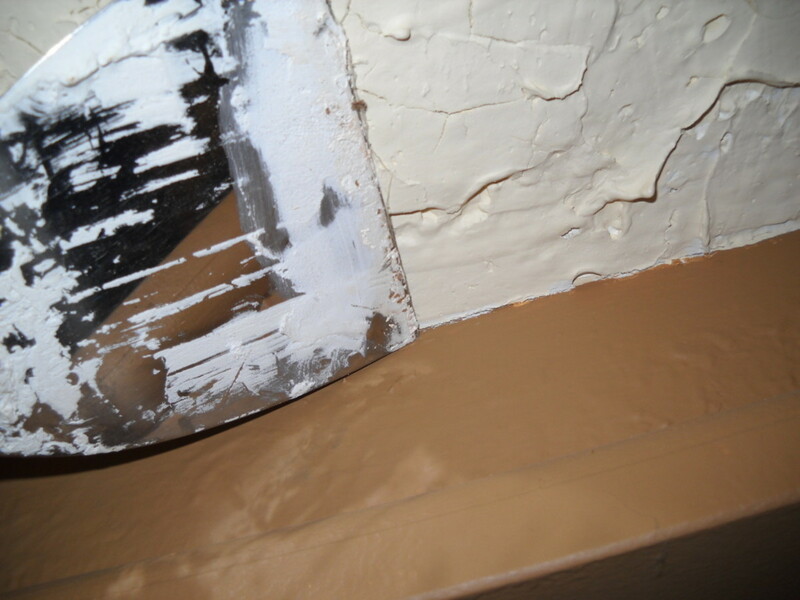 Your vents will go back on easier if you do only a light layer of plaster around them. I used a 1” knife to make the areas around the vent go more smoothly. 5. 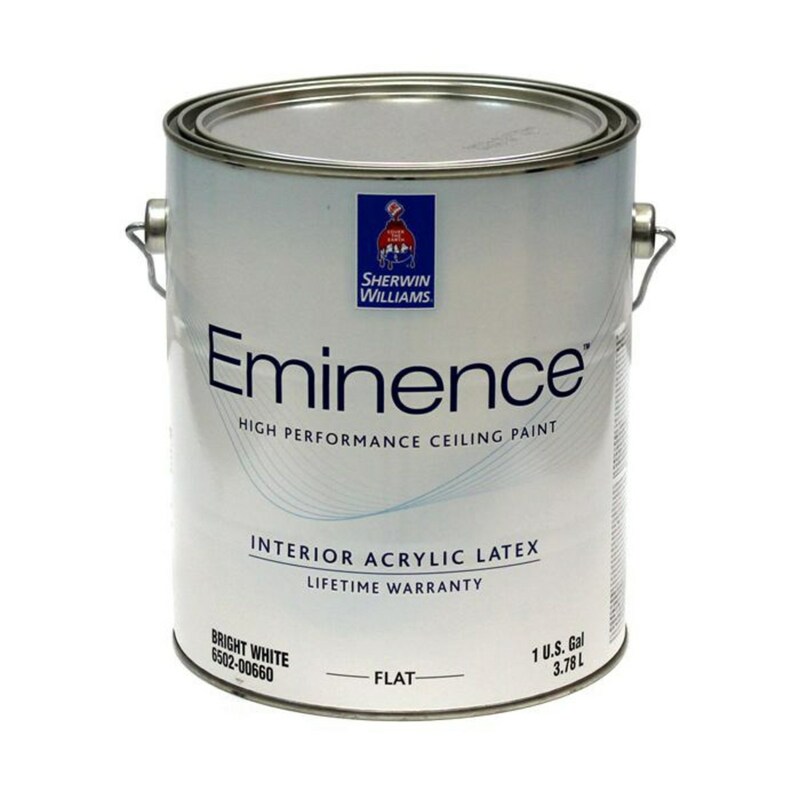 Before You Paint: Let the ceiling dry about a week before trying to paint it. Actually, since it will dry white, you may not even need to paint. Before you paint, be sure to cover everything again because the paint will get into the ridges of the plaster and sometimes drop down on your floor. I like using a paint with primer because they tend to cover in one coat and are thick so they don’t drip. Using a paint roller with an extension rod can make the job much easier because you won’t need a ladder for most of the work. You can use painter’s tape between the ceiling and wall, but I like to use a good quality 1” brush instead. 6. A Note About Colors: If you use something other than white on the ceiling, you will need to use a lot of paint to cover it. I've used white, beige, and light mustard yellow. These all look great, but I would probably stick to a white if possible. Using this method is probably one of the cheapest ways to get rid of popcorn. The plaster knives, trays, and plastic covers cost less than $30 and lasted me throughout the project. I did throw the plaster tray away when I finished (in celebration!) but I still have the knife. Of course, you will also need a good stepladder. Mine got covered with compound during the project, but it still works just fine. Your primary cost is the joint compound. The amount you use depends on how thick you apply it, but one 8’ by 10’ room uses about four to five 3.5 gallon boxes. I bought lightweight, which is a little bit more expensive, but still under $10 a box. That makes the entire project cost under $40-50 for a bedroom. I didn't keep track of all my costs, but I would estimate that I did the 2000 square feet of ceilings in our home for about $300. Truthfully, the biggest cost in this project is time and effort. I worked by myself to do our house and it took about 8 hours to do an 8’ x 10’ room. I was not able to work for eight hours straight at the work because the repetitive lifting and pressing were tough on my 50-year old wrists. However, by taking breaks every hour or so, I was able to finish most rooms in one day, or sometimes two half-days. Doing a ceiling in a weekend is certainly a realistic goal. Doing a whole house in a weekend is not unless you have a team of people. Who I am: I am an over 50-year-old female college professor and housewife. Although I have done a lot of remodeling projects in my own home, I’m not a professional. If I can do it, you probably can too! In fact, because my husband was busy on some outside gardening projects, I did all of our ceilings by myself. Best DIY I've Done: Because I was doing the work while my kids were at school, I often had to set-up, plaster and then clean-up in about six hours. We do have tile floors, so I did not have to worry about carpet, but I was still amazed at how easy it was to change the look of our house with this one project. Our 1972 house no longer looks dated. I've done many DIY projects but this one is probably the most important one I've ever done to change the resale value and appearance of our home. Not a Project for Every Popcorn Ceiling: Sometimes, another method may be better. If your popcorn comes off easily, this method may be a diaster. Before you attempt to do a whole room, I recommend starting in an inconspicuous place, like a closet. I did a section in our garage first, then a small bathroom. Do a test: I let the whole thing dry for a week and then painted it. I was worried the plaster might fall off, so I waited several months, letting the bathroom get plenty of use and humidity before I started doing the other ceilings in the house. Buy supplies one room at a time. You might be tempted to go out and buy the materials for the house at once, but I found that fresh joint compound was easier to use, so I bought just enough for one room at a time. Older mixes, especially if opened, can get dried out and hard to use. I started this process in 2009 in all of the main areas of our house. I finished the last bedrooms in 2014. All of the ceilings look great and we've had no problems, even in the bathrooms which get a lot of moisture. I'm actually going to work this summer to update the paint color on a couple of the ceiling and I've installed some new lights, so I have a few areas to replaster. Since I wrote the first article, many people have tried this method and written to me about it, saying it worked for them too. When I first decided to try this, there wasn't anything on the Internet about this technique, so I posted my experience on my blog. To my surprise, that blog post went viral, which showed me that I wasn't alone in thinking about this idea. In fact, that post was the start of my Internet writing career. Since then, many people have written to tell me this method worked for them too. If you've tried it, shoot me an email, or better yet, share any tips you have in the comments to help other folks out. Happy plastering! Are there drawbacks to not priming, sealing, or painting? Can I just prime and seal? I love it bare. I left several of my ceilings unpainted after plastering for a couple of years. They were a light grey color that worked with the decor of that room. I did not prime or seal them at all. When I did decide I wanted a new color, I just chose a paint with primer included and did one coat with some touch-ups as needed afterward. It is very easy. This is a good technique to beautify the ceilings. But, I never came across such ceilings till now in my life of 65 years. Now, I knew what is a popcorn ceiling and they used to be there during the 1980s. Thanks for sharing it. Hi, 515, I did have microcracks and I think lightweight might have less of that. However, I found that when I painted the ceilings that filled in the cracks. I don't see them on my ceilings that are painted. First of all, thank you so much for this! I actually successfully did 2 closets tonight and they turned put beautiful but as it's drying I'm seeing some micro-cracks in it and I noticed in ypur pictures (some of them) it looks like there were also some micro-cracks, is this a bad sign? ?, they aren't noticeable unless you're right on them but I would like to know what your experience with this was also please. I did not use lightweight I used all purpose, should I switch to lightweight? I live in a 1960 home. My ceiling is textured, but not popcorn. Popcorn refers to the blown on texture, some of which were fireproofed with asbestos. The popcorn was a cheaper method of putting texture on the drywall than hand plastering. At the time it was not so much popular as cheap. Texture was popular. Prior to the blown on popcorn texture was carefully​ and with an artistic hand applied. It is beautiful and rare! If you have such a ceiling please don't ruin it! Keep it. The method shown in this DIY isn't remotely like the hand applied plaster beauties of old. It's primative and very rough and will be hard to paint. Really good plaster work isn't like that. Popcorn is actually easy to remove, but real plaster isn't, and painted real plaster is even more difficult. If you have real plaster please learn to love it. Hi Karen-I'd advise that you try spraying water on your ceiling and seeing if you can scrape it off first. If the popcorn melts and comes off easily, it may mean that my method of covering it won't work as well as scraping. Other than that, I'd suggest getting a small container of the lightweight plaster and just trying inside a closet or another small area. If that works, you might want to try one small room first. Leave it for a few weeks to dry then paint. If that works well, then you can do the whole house as I did. We lived in South Florida, and I know there is a lot of humidity there which might make drying time slower. I'd advise using as thin a coat as possible to cover the plaster and also to make sure to run the HVAC system while it is drying. i live in south fla, and am considering trying this method on popcorn. any suggestions b4 i start other than trying a small area 1st? Thanks Terrielynn! I love new ideas and it is a lot of fun to come up with ideas that work. I'm working on a bathroom now! Great post . We are Reno our farm house . I just clean all ceilings and primed and painted as we did each room . We were lucky and none of it was coming down . Just dingy looking Andrew needed to be refreshed . I love DIY SO I WILL BE FOLLOWING YOU. Last time I wanted a textured wall I poured designer compound into a pail of coloured paint and I love how it turned out . A lot quicker then doing them separately. Keep up the great info. Sixit--Thanks for the valuable information. I appreciate the time you've taken to read and respond to my article. Your idea of using a board to practice is a good one. Although I am just a homeowner, I had done some plastering before on my walls, so I had some practice. I also found that I learned as I went on my own ceilings. I made them look different in the bedrooms than in the living areas. I should also add that the look that I achieved in hand plastering works particularly well in my house because the walls are also hand plastered and the house is decorated in a Mediterranean/Mexican style. We have purchased a condo for my children to use when going to college. It also has popcorn but I will probably not plaster it because I think we will be able to strip it off. So it is important to think carefully about what will work for your particular house. I'm glad you didn't try to remove your probably asbestos-laden popcorn. I'm pretty sure that sealing it in with plaster was a good move too, short of it being abated (expensive!) if it indeed contains asbestos. 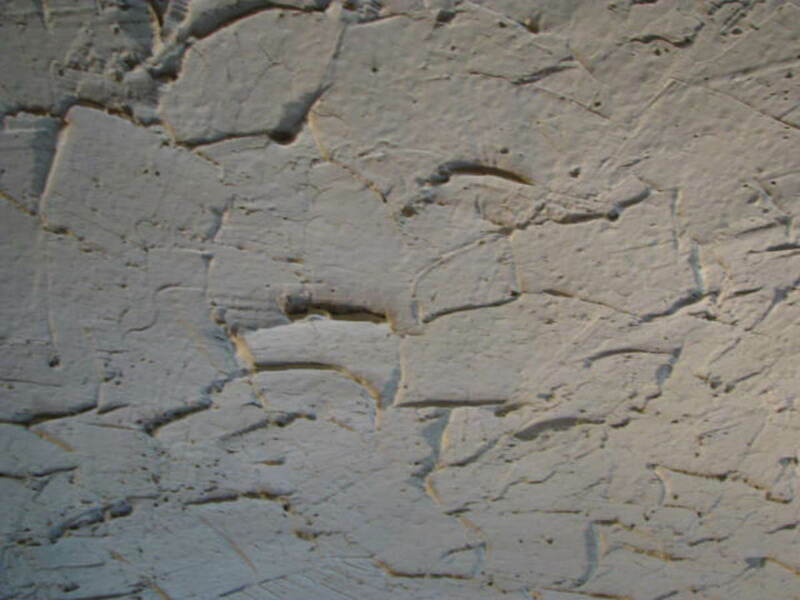 If/When your ceiling is abated, having it embedded in the plaster will be undoubtedly beneficial. Asbestos might also explain why it holds up so well. The newer stuff is almost like coagulated powdered sugar, though not quite as soluble. Ours was put up in 1985, and in certain spots is peeling. Regarding plaster being lightweight, you're right that a conservative application is more likely to stay up. For those who plan to use your technique, I'd recommend some practice on a wide board before lathering on. Decades ago in my youth, I've covered popcorn with plaster using a "stipling" method - very easy and quick - but spots do get thick and heavy if not done correctly. I learned that the hard way. Luckily, it's also easy to go back and fix. But stipling isn't easy to paint well without a sprayer. 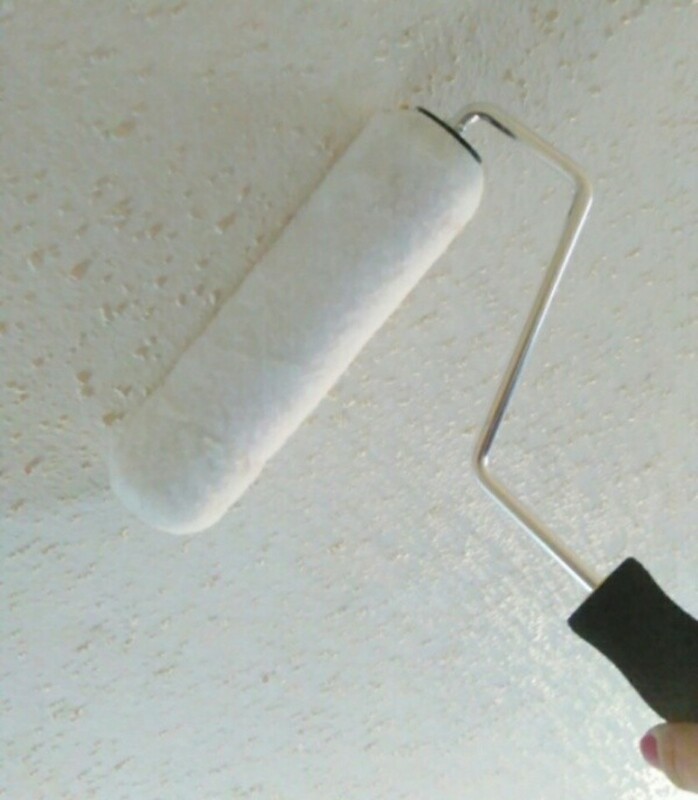 I mention this for those that might cover it but can't do it up on a ladder, since it is just a round brush covered in plaster on a long pole you use to "poke" or dab at the ceiling gently, over and over. By the way, I just checked, and apparently asbestos can be in popcorn in installations through the 80's since existing inventory were exempt from the asbestos ban instituted in 1978. Testing is inexpensive, about $17 to $30 from two different places - Dixon Information and Western Analytical Lab respectively - so if anyone is concerned they can get it answered quickly and cheaply (cheaper than those misleading "kits" on Amazon or at the local big box retailers). Sixit--Thanks for your thoughtful response to this article. I think you are right to suggest that many ceilings can have the popcorn removed. Unfortunately, our popcorn would not come off. In addition, ours is from 1974, so we were concerned about asbestos. I understand your caution about the plaster, but I honestly haven't had any problems, and some of our ceilings have been on for over 8 years (including 3 bathrooms). We do live in the South with high humidity also. Additionally, I would say that if you use lightweight plaster and aren't too heavyhanded about applying it to the ceiling you really aren't adding that much more weight (it is much less heavy after it dries since most of the weight is in the water in the plaster). 1) It is actually much easier and less time consuming to remove the popcorn yourself. It's messy, but very easy. 2) It is initially less expensive to remove the popcorn, though paint will add to it. 3) You are depending on the bond between the popcorn and the ceiling to hold the VERY HEAVY plaster. Further, you have to depend on the popcorn's bond to other popcorn, assuming the popcorn is clear of dust, cobwebs, and other debris which interferes with the bonding of the plaster. Naturally, depending on which climate you are in, your popcorn may easily handle the load. In other climates, particularly southern climates where humidity has weakened the popcorn over time, plaster may become a very real problem over time. 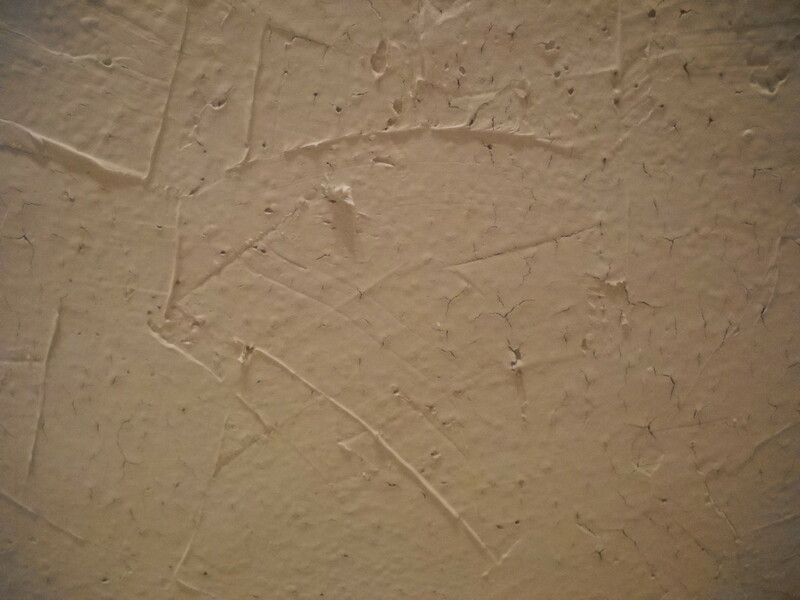 4) Removing the popcorn ceiling leaves a flat, clean surface assuming the drywall installers were competent. If you want the textured surface that the plaster offers, it can just as easily - or more easily - done after the popcorn is removed. CAVEAT: Of course, if your popcorn is pre-1980, don't touch it. Get it tested for asbestos first, and if it contains asbestos then get a qualified asbestos handler to remove it for you. Plastering over the popcorn may be a good solution for some folks, but the above facts should also be considered before deciding how to handle that horrid popcorn. Emma--thanks so much for letting me know this helped you. I actually just finished my last ceiling and took some video this time, so I should be posting that soon. I think it will help make the process clearer. While I have painted all of my re-plastered ceilings, they really look pretty good unpainted which is nice because if you like that look you really can have a whole ceiling done in a day or two. It is a lot less messy and complicated than scraping, in my opinion. I never had to remove any furniture. I just put plastic over the part that was underneath the section I was working on at the time. 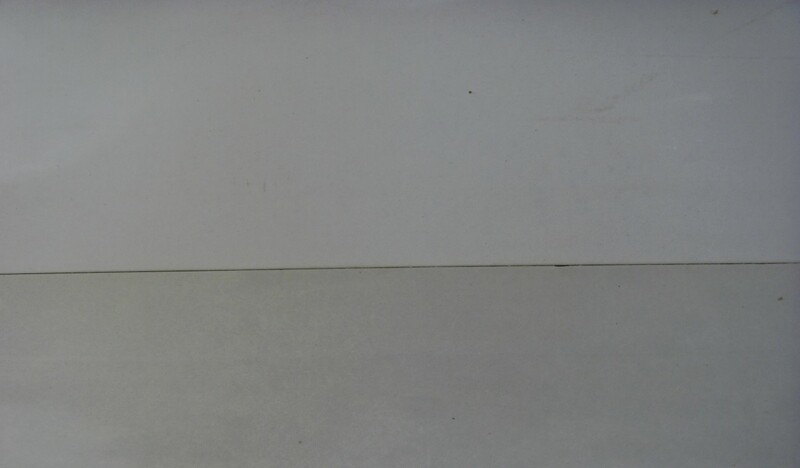 If you have carpet, you would probably want to tape the plastic down to make sure the plaster didn't get into it, but the plaster wipes off other floor surfaces very easily. Thank you SO much for writing this out. I have been under the impression the only way to get rid of my popcorn ceilings was to scrape them off and re-do it. I had no idea they could be finished in the way you describe. When my husband and I are ready to take on this project, it's your article I will be referencing. 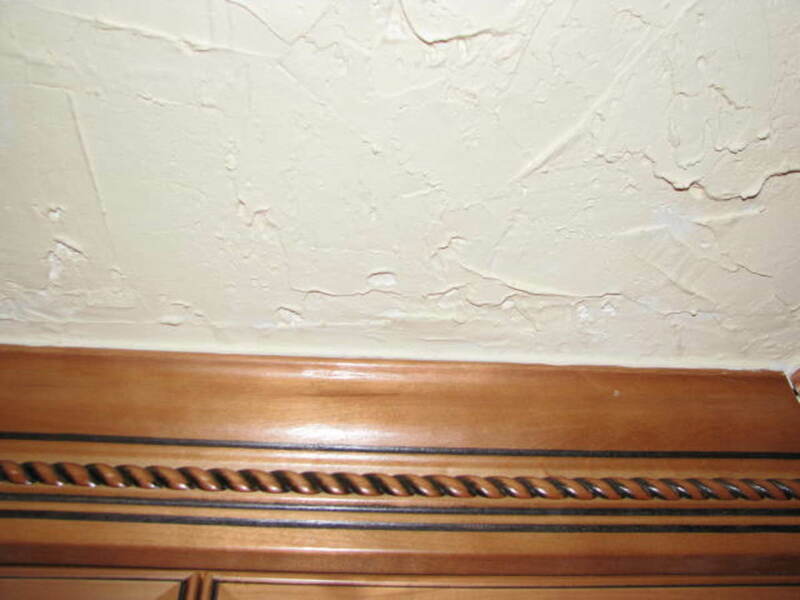 I used all the 'plaster effects' in 1998 while selling my home. I didn't have popcorn per se to cover, but my house was built in the early 1900s and had a lot of ills so I used a Santa Fe finish. In my newly built home I used joint compound as an embossing like material for a stencil I purchased. Very unique and definitely worth the money! Cori, I have not tried the plaster coloring. That is a great idea. I should say that I just painted two of my ceilings and it was very easy. They covered in just one coat of Behr ultra white. I've also used cream in other parts of the house. Got linked here from a recent buzzfeed article. Just a tip in case anyone wants to try this and is thinking about painting it afterwards: you can actually buy the paint coloring in small quantities and mix it directly into the plaster. I'm not sure if you can do it from a big retailer like Home Depot, but the smaller paint stores are usually happy to sell you a small cup of the coloring for $3-$4. Thanks Mark! We lived in Central Florida for a couple of years. Now we are in Central Texas! 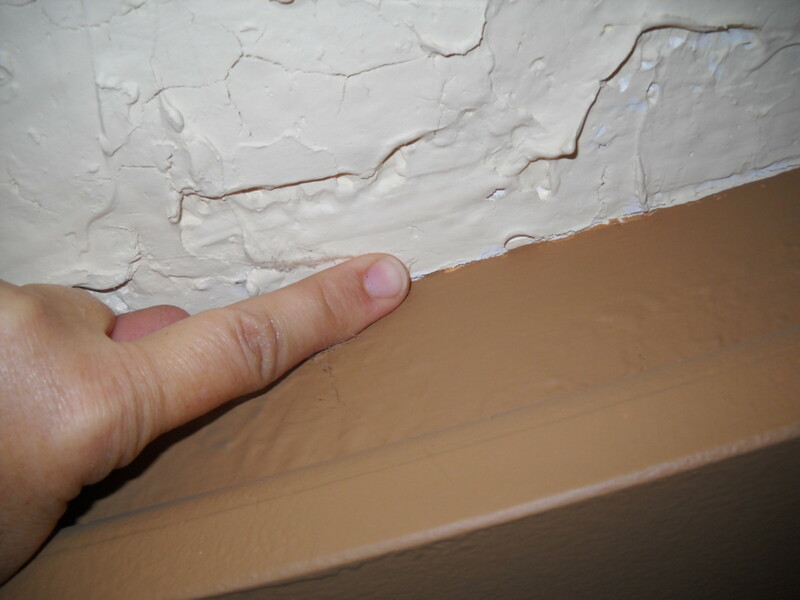 Thankd RTalloni--I agree that this is a good solution to many wall problems and it is really so easy to get that "handplastered" look--much easier than I'd have guessed. Good job--both with the ceilings and this hub. It should be very helpful to many people. This would be useful for more than just popcorn ceilings. 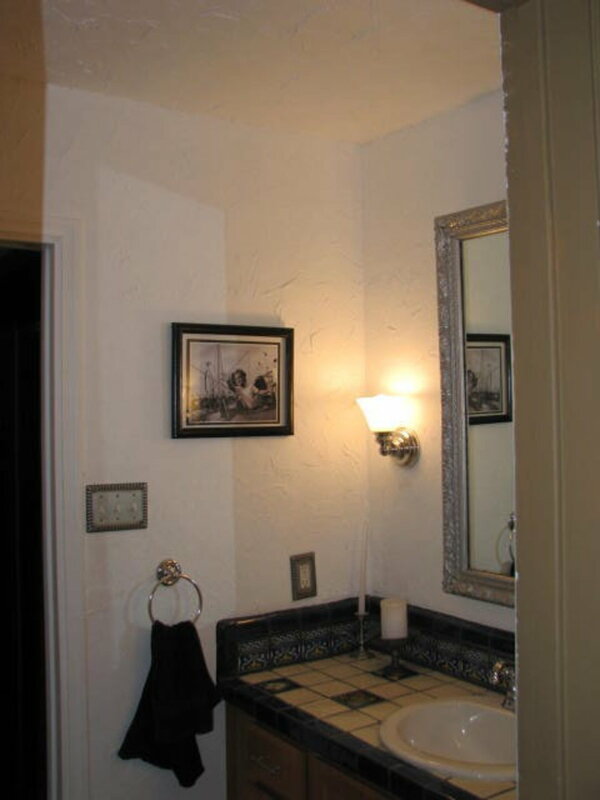 The plaster/stucco look is timeless and can be used in a wide variety of other projects. Dear Guest--Thank you so very much for writing that comment and letting us know your problem with the ceiling coming down. I was very concerned that would happen when I first thought of this idea. I actually did a small part of our garage first. Then, like you, I did a small bathroom area. I waited actually almost a year before starting on other areas of the house. Our ceiling popcorn is very thick and painted heavily. It is harder than other popcorn I've seen. Our ceilings have been plastered over now for about 2 years (some 3 years) and we've had no problems, but I would certainly urge caution when using this technique on your ceilings. We had our popcorn ceiling tested and it was less than 1% asbestos. I didn't want to mess with taking it down because, one, it wasn't zero, and two, it was painted and from what I've read on the internet, the water method wouldn't work. So we decided to plaster over it like you did. Fortunately we tested it on a small area first, the 4' x 6' entry way, because it came down in the middle of the night! Only a quarter inch or less of joint compound too. I just wanted to let folks know the importance of testing, and also be prepared for failure by sealing off your small area first with plastic. That way if it comes down the mess and dust will be somewhat contained. Very useful indeed and I now look forward to following you on here. 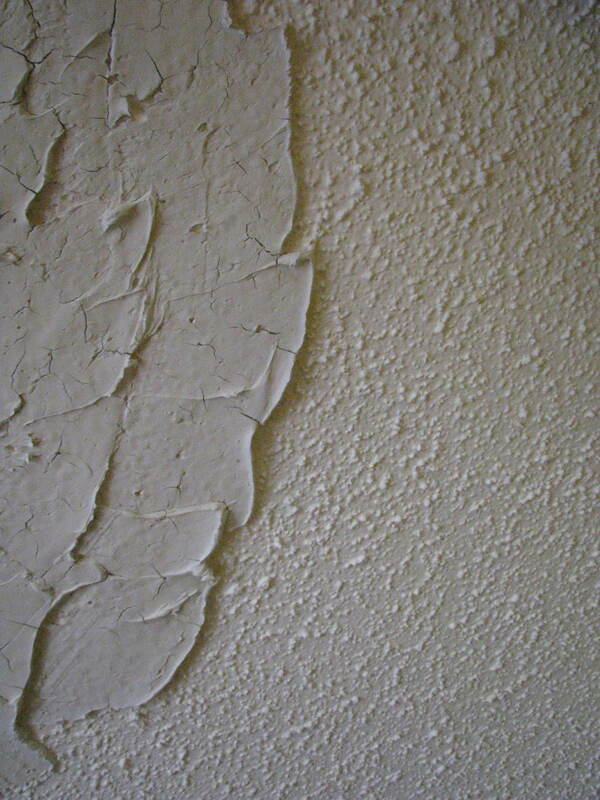 Popcorn ceilings are indeed a bother, and when we remodeled our home, I paid the big bucks to have them removed. It was messy! Your well-illustrated information looks like a reasonable alternative to the more expensive method. I think this is a very unique idea and I like the finished look. Very interesting hub. Congratulations on your win. I hope you will let me know how it works for you and I'd love some photos to post. When I first thought about this method, I Googled it and no one seemed to have done it. I tried it anyway and it was so successful that I wrote a short Blog post. That received so many hits that when I started hubbing, I decided to write a more detailed description. Also, I noticed that although my blog post is still the first Google search for this topic, there is other information about this technique too. So I know it works for other people too! O Thank you Virginia! I think I 'll try this method as soon! Good luck!